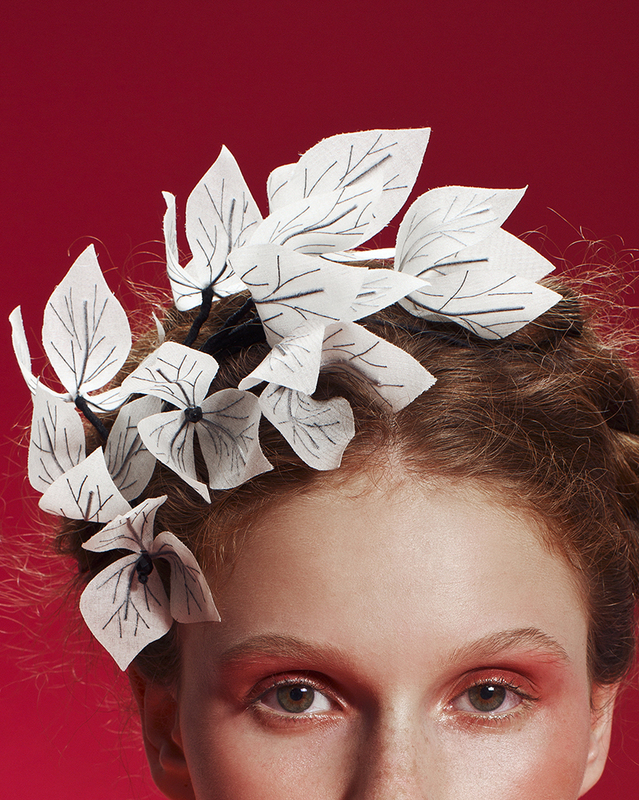 A curvy, blooming branch with flexible silk Bougainvillea flowers, positioned on the right side of the head. Each flower has a special crystal center. The black branch splits in to several mini twigs, which complement the black veins in each flower petal. Attached to hair with an ‘invisible’ wire headband. Flower petals are flexible and may be shaped. All delicately handcrafted. a sophisticated evening headpiece. This best seller piece has the perfect balance of natural beauty and elegance.